Traditional Buddhism began over 2,500 years ago. It was founded on the metaphysical understandings of the time. In this age of myth and magic, all the world was supernatural. There were invisible beings and mystical realms everywhere. For ancient civilization, there was no such thing as naturalism. They had no way to distinguish, let alone conceive, of a difference between the natural world and the supernatural. The first to begin to cut through the vale, where the Greeks. They began looking for natural explanations rather than supernatural. This is the first time in recorded history where someone was using methodological naturalism in the investigation of nature. But their writing were lost during the dark ages. Their rediscovery gave birth the European Renaissance of the 14th century. According to the Online Etymology Dictionary, naturalism was first used “as a view of the world and humanity’s relationship to it” in 1750. Why is this date important, because it was in the middle of the 18th century. It was at the height of the Enlightenment, which resulted in the French and American revolutions. It set the stage for the emergence of modern science during the 19th century. 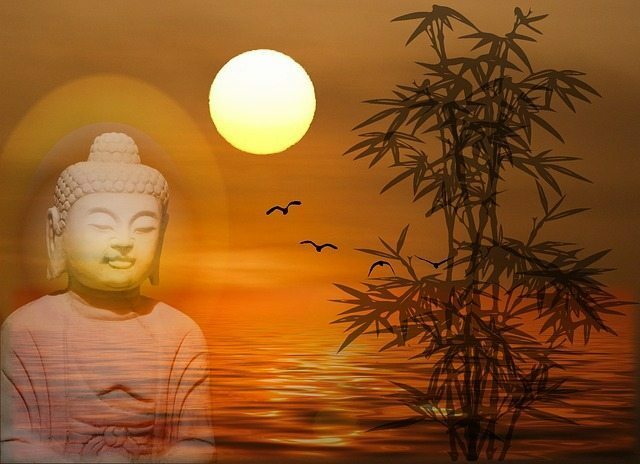 Buddhism was started by Siddhartha Gautama in India, somewhere around the 5th century BCE. It should be expected that he would view the world very much like others of his age. His great subject of study was not the world, but the human mind. His one great quest was to discover the cause and cure for the mental and emotional pain and discomfort of human life. It should come as no surprise that the Buddha did not question the basic worldview he grew up in. Science was still thousands of years away. What is surprising, is just how accurate he was about the psychological nature of human beings. Neuroscience and psychology are verifying the Buddha’s observations and confirming the benefits of meditation and mindfulness. But many scientifically minded students of Buddhism have run up against the metaphysical baggage of the Buddha’s teachings. They have read about the six realms, devas, heavens, hells, karma, and reincarnation. These are the leftovers from a prescientific worldview. They are the supernaturalism of ancient India. So the question is, can we replace the supernaturalism of ancient India, with the naturalism of modern science? I believe we can, and here is why. The Buddha never made the metaphysical elements foundational to his teachings. His teachings stand whether or not we believe in rebirth, the six realms, or any other of the unprovable speculations. The reason is because he based his teachings on the reality of suffering, the cause of suffering, and the cure for suffering. In other words, the Buddha wisely founded his teachings on empirically verifiable experience. The great insights that have arisen from his teachings and directions are continually being verified by the mind sciences. Meditation works without beliefs. Mindfulness works without beliefs. The Buddha taught us not what to think, but how to practice. He taught us how to see reality for ourselves, and not take his word for it. After all, second hand knowledge never set anyone free. So we can and should replace the supernaturalism of ancient India with the naturalism of modern science. The resulting product would not be traditional Buddhism, but it would be a new and improved Buddhism. What you call it is really not important, what matters is that we use the practices of the Buddha and the insights of neuroscience to improve our lives and the lives of our children. It’s amazing how much easier problem solving is when you take a supernatural-free approach.